Plaintiff Santiago Lopez applied for a longshoreman position in 1997 with the Pacific Maritime Association. 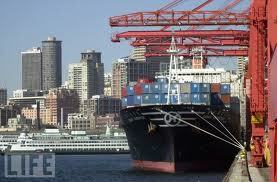 It is an employer association that represents the shipping lines, stevedore companies, and terminal operators that run the ports along the west coast of the United States. Lopez tested positive for marijuana at the standard pre-employment drug and alcohol screening process and was denied employment. In 2004, after undergoing treatment for drug addiction, he reapplied for a longshoreman position. His application was rejected under the one-strike rule. As the collective bargaining agent and payroll administrator for its member employers, Pacific enforces a “one-strike” rule for all applicants seeking positions as longshore workers. The rule “eliminates from consideration any applicant who tests positive for drug or alcohol use during the pre-employment screening process.” Applicants receive at least seven days’ advance notice of the tests. Applicants who fail the screening are disqualified, automatically and permanently, from consideration for future employment with the association’s employers. Lopez filed suit against Pacific, alleging discrimination based on his protected status as a “rehabilitated drug addict” under the ADA and California’s Fair Employment and Housing Act (FEHA). Both Acts protect individuals who are recovering or who have recovered from a drug addiction. They do not protect individuals who are using currently illegal drugs when they apply for a job. The United States District Court granted summary judgment in favor of Pacific and Lopez appealed to the 9th Circuit which has jurisdiction over Alaska, Arizona, California, Hawaii, Idaho, Montana, Nevada, Oregon, and Washington. In Lopez v. Pacific Maritime Assoc., (9th Cir. Mar. 2, 2011) the Court held that a plaintiff must demonstrate some statistically significant evidence in support of their disparate impact claim under the Americans with Disabilities Act and the California FEHA, even though such evidence may be very difficult to obtain. The 9th Circuit held that such statistically significant evidence was critical in order to establish that Lopez’s employer’s “one-strike” rule discriminates against recovering addicts who seek employment with the employer after previously failing its pre-employment drug test. Common Sense Counsel: while this is a drug testing case, it is also a “perceived as” discrimination case under the ADAA and thus very risky for employers. The yet to be released EEOC ADAA regulations will most likely address this very issue and determine that such a “one-strike” rule relating only to a passed failed drug test is a “perceived as” ADAA claim. Employer Action Steps: 1) updated job descriptions with essential functions; 2) ADAA handbook policy language is strongly advised; 3) supervisor training on ADAA responsibilities is critical; and 4) understanding the interactive ADA dance is just good risk reduction.